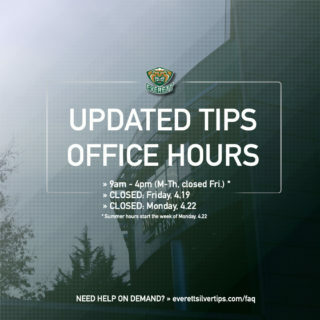 EVERETT – The Everett Silvertips have announced the schedule for four days of practices and scrimmages that comprise the club’s 2014 training camp next week at Comcast Arena. Fans are invited to join us as on-ice sessions begin next Thursday, Aug. 21 and continue through the annual Green vs. Grey intrasquad game at 3:00 pm on Sunday, Aug. 24. 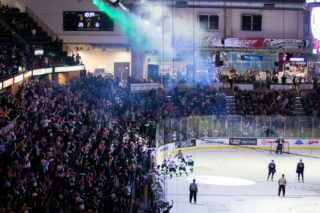 This year’s format will look familiar to Silvertips fans as roughly 80 players are divided into four teams. Each team hits the ice for practice Thursday and again Friday morning before the first scrimmage games on Friday afternoon. The teams will scrimmage each other twice more on Saturday to determine placement for Sunday morning’s Volunteer Cup championship game and third place game. 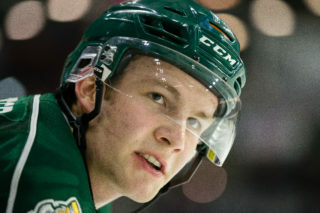 Rosters from the four training camp teams will then be pared down into two teams for the annual Green vs. Grey intrasquad game on Sunday afternoon. 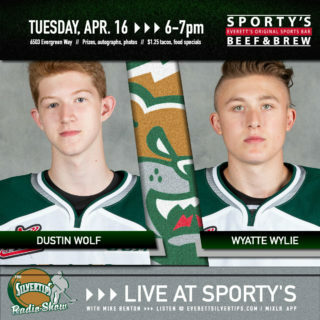 Admission to the Green vs. Grey game is free as Silvertips fans get a sneak peek at which players could stick with club to start the WHL preseason. All training camp sessions are open to the public, with the main Comcast Arena entrance (at the intersection of Hewitt Ave. and Oakes Ave.) opening 15 minutes prior to the first practice/scrimmage of each morning and afternoon session. Doors for the Green vs. Grey intrasquad game open at 2:15 pm on Sunday, 45 minutes prior to the 3:00 pm face-off. Everett hosts the rest of the U.S. Division and the Victoria Royals for the 11th annual Holiday Inn Preseason Classic over Labor Day weekend at Comcast Arena. The Silvertips are in action at 7:00 pm each evening during the tournament, which features a total of nine games from Aug. 29-31. 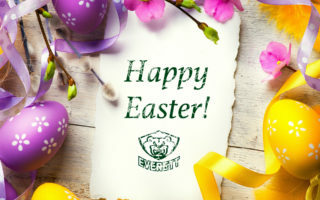 For more information visit www.EverettSilvertips.com, call the team office at 425-252-5100, “like” the Everett Silvertips Hockey Club on Facebook or follow @WHLSilvertips on Twitter.